It’s tough to top tradition, and that’s certainly the case with this desk. 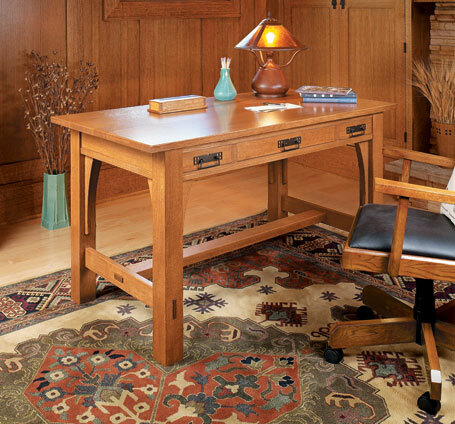 This heirloom design gives a modern home office both style and function. 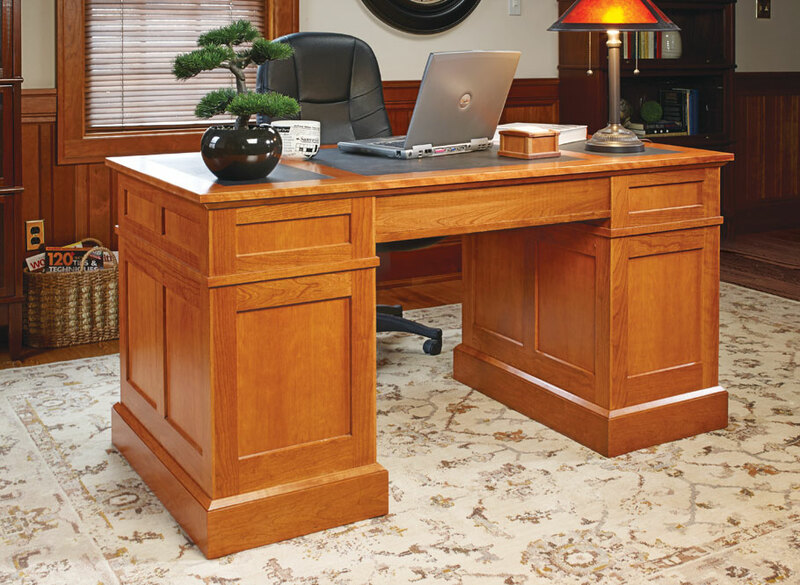 This cherry pedestal desk certainly delivers classic design in spades. 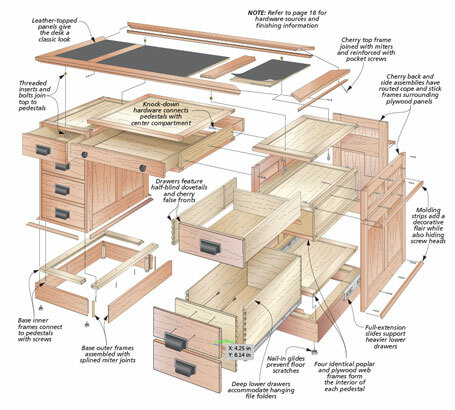 It’s packed full of woodworking details that will make it a treasured heirloom for years to come — traditional frame and panel construction, dovetailed drawers, and a stylish leather top, just to name a few of the project highlights. 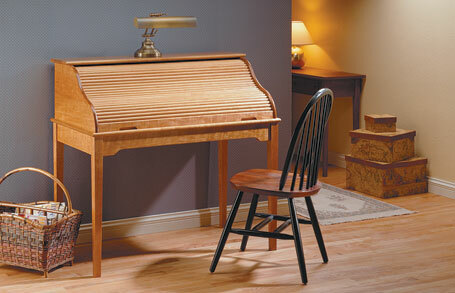 At the same time, however, you’ll find that this traditional desk is well-suited to the demands of a modern home office. The pedestals and center compartment provide loads of storage space for computer and office supplies. 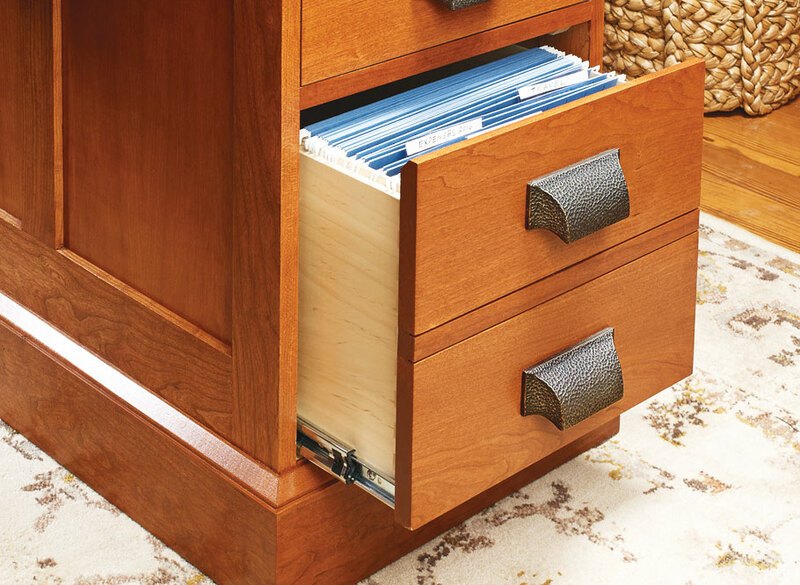 The lower drawers are designed for hanging file folders to hold your most important documents. The opening between the pedestals is perfectly sized for a comfortable office chair of your choosing. And the large, open top is an excellent worksurface for a computer or any other device. 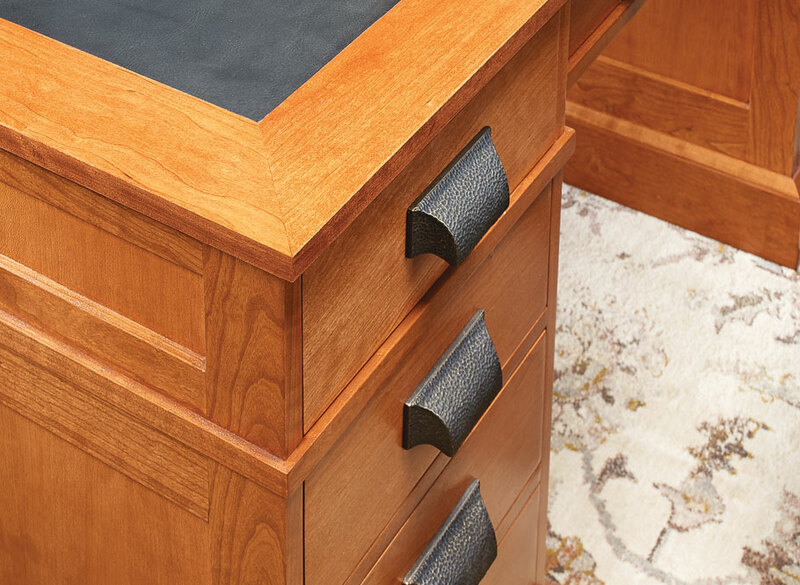 This heirloom desk is a big project, but many of the operations, such as the routed joinery for all the frame and panel assemblies, are easy to duplicate once you dial in your settings. We’ll walk you through the entire process in this plan. 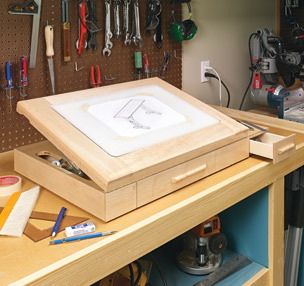 Sketch out your next project on a smooth glass surface that tilts to a comfortable angle. Two drawers corral all your drawing supplies. This classic project offers Craftsman design at its best. It's practical, simple in detail, and features solid, straightforward construction.